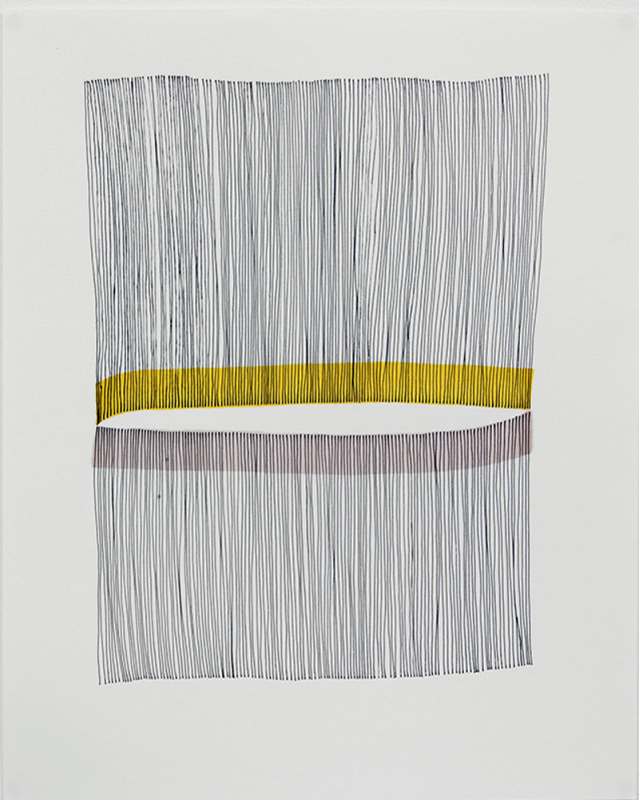 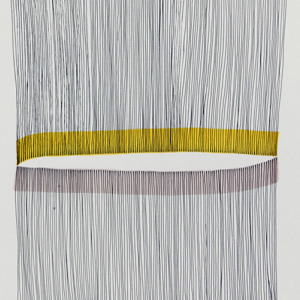 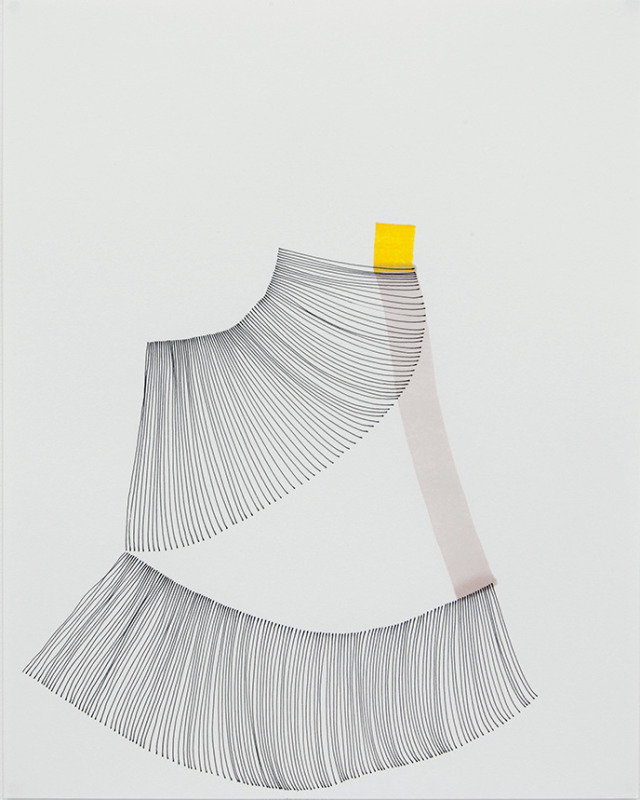 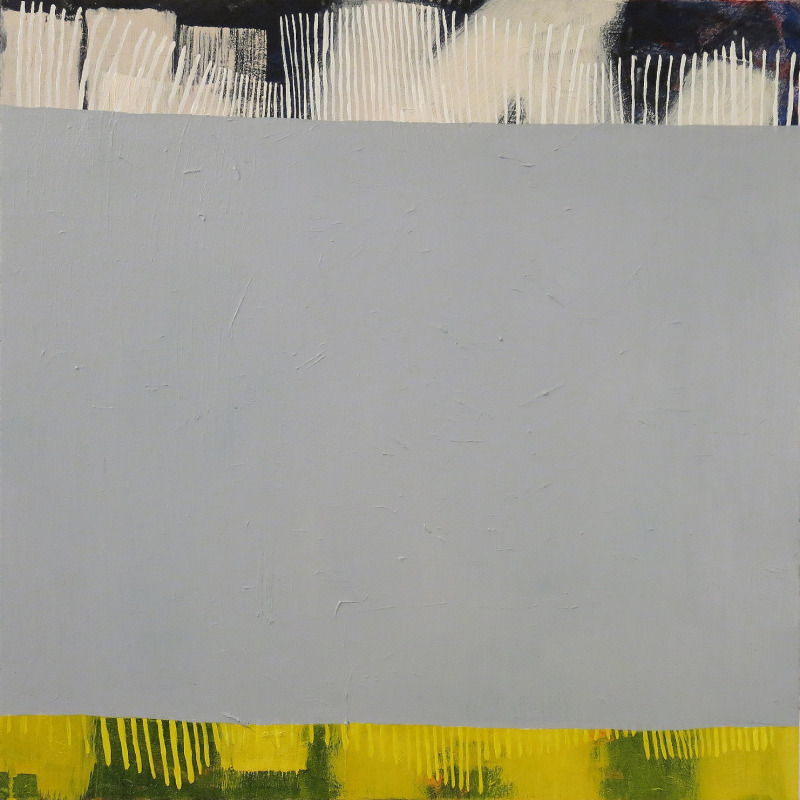 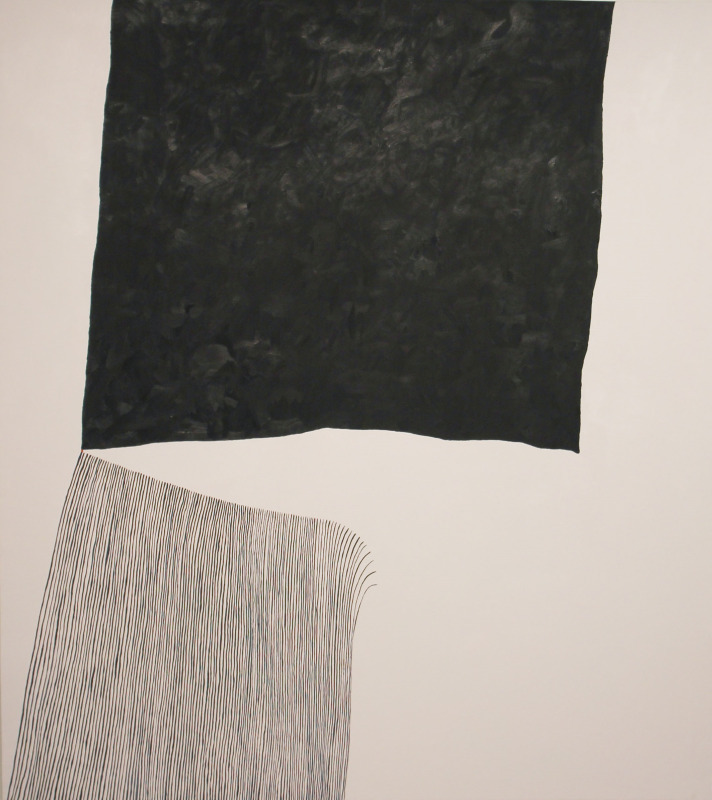 The forms present in Imogen Banks' abstract work use a language of logic in relation to one another. 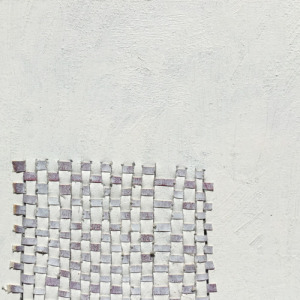 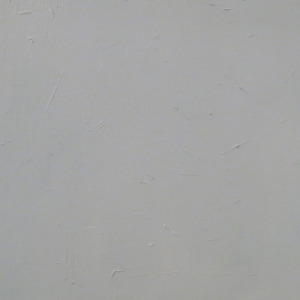 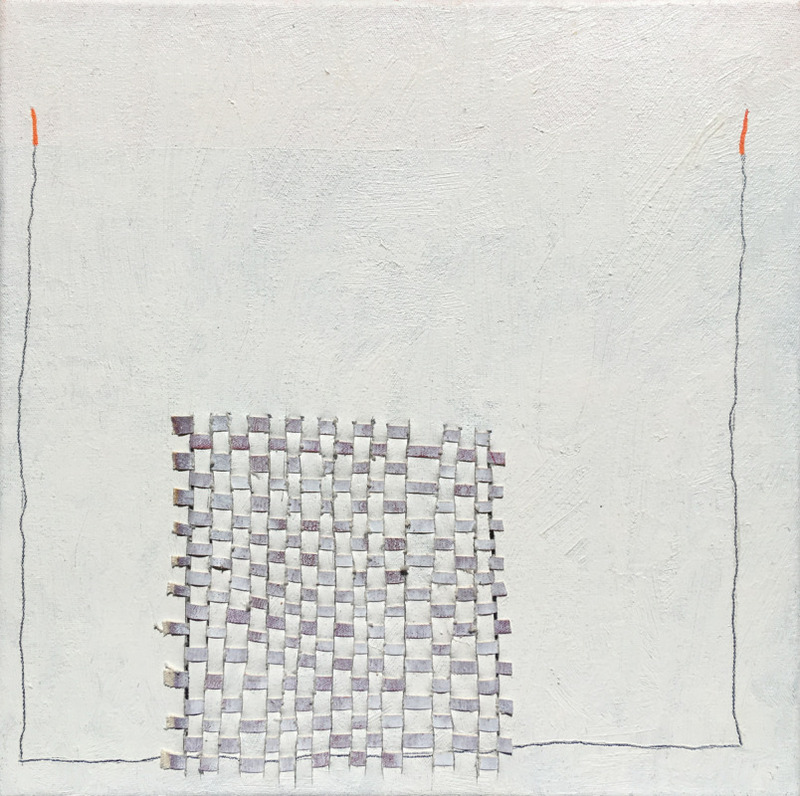 Choosing to view the canvas as an object, her paintings cannot help but address the shape of the frame and foundation from which they are built upon. 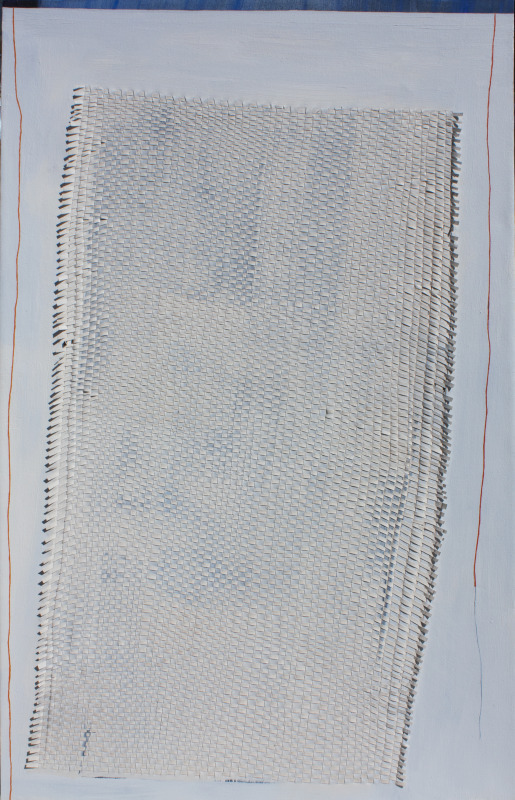 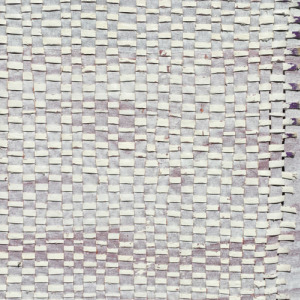 The edges of the swathes of color appear organic, lumpy, and sometimes askew, drawing attention to the rigid outer limits of the canvas' edge. 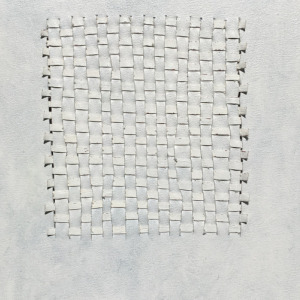 When forms are not in conversation with the traditional rectangular boundaries, they are in conversation among themselves; bound by systems of rules or logic created by the artist for the forms to exist within. 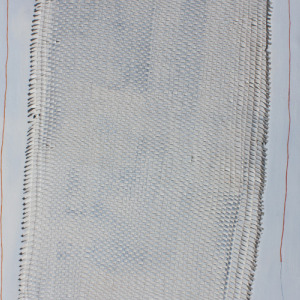 While these things are still true of her drawing practices, she has always thought of them as very different processes. 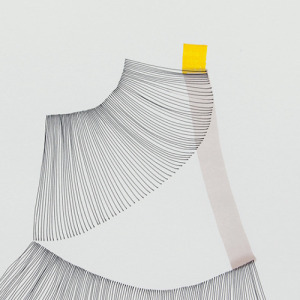 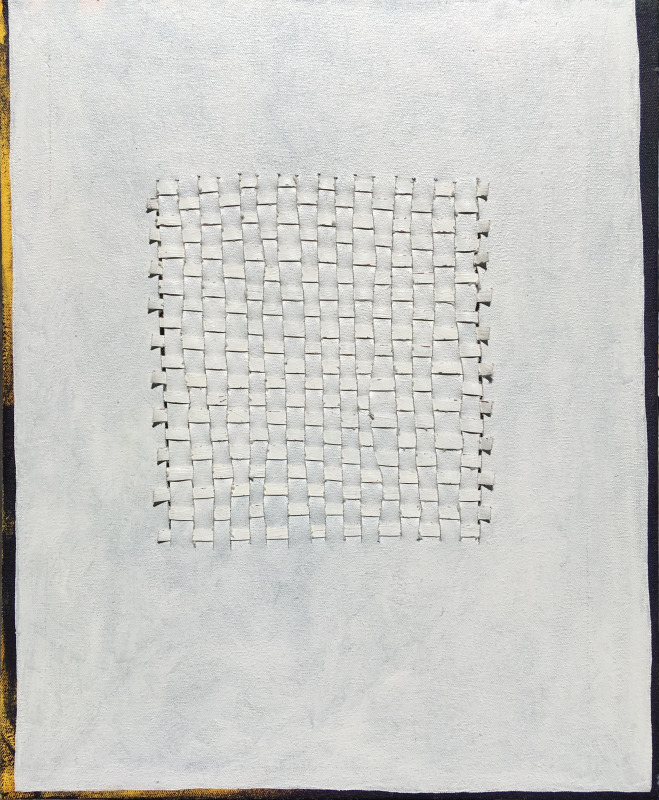 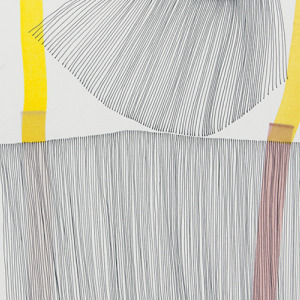 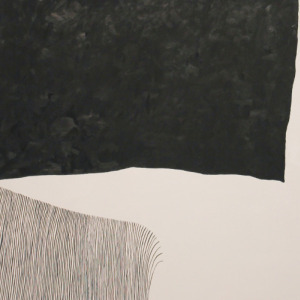 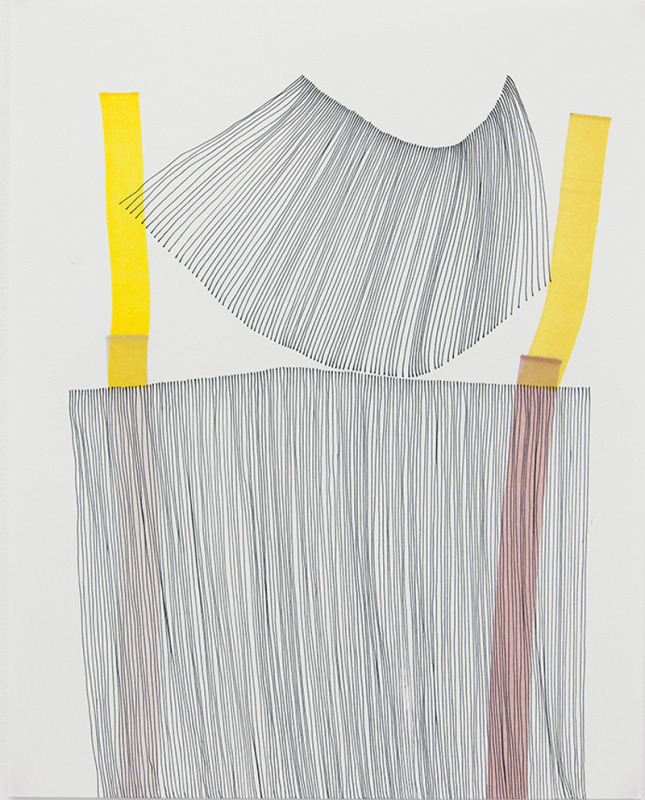 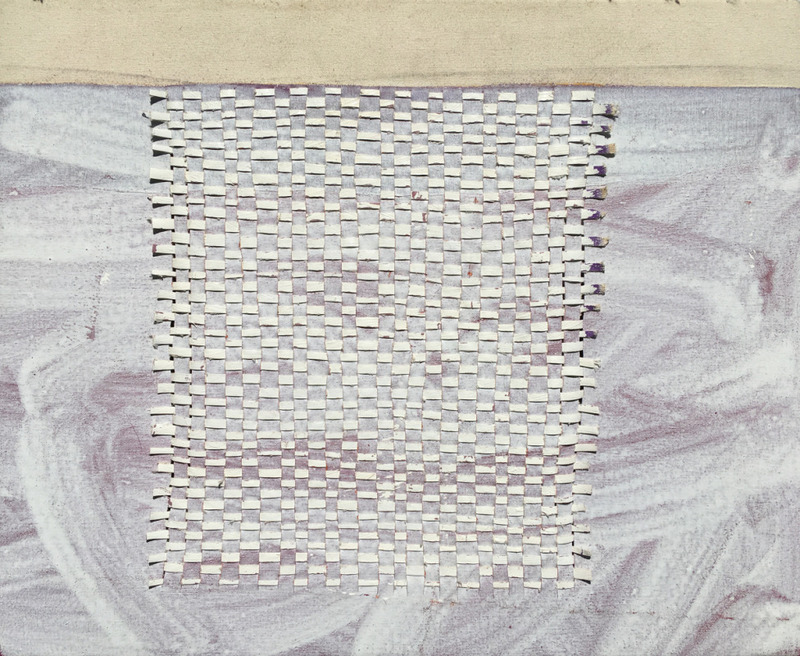 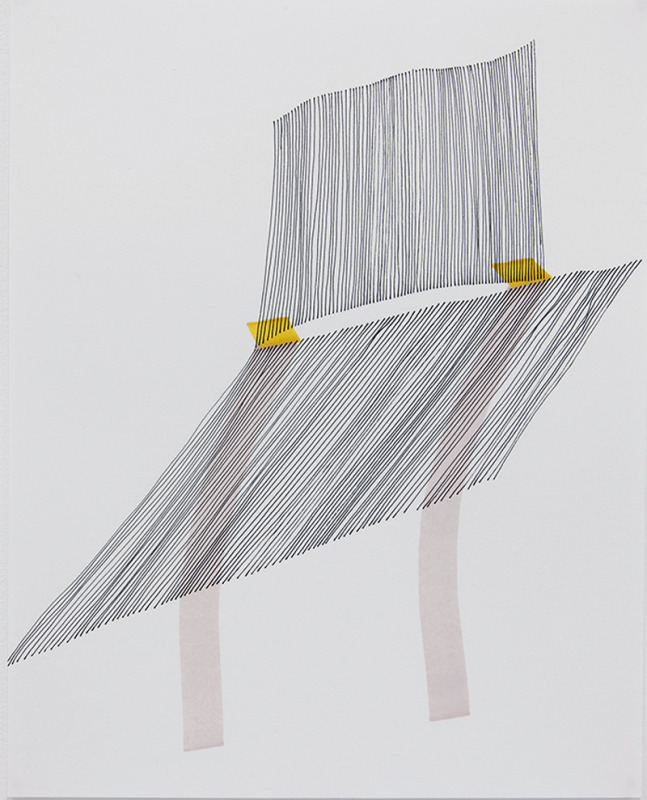 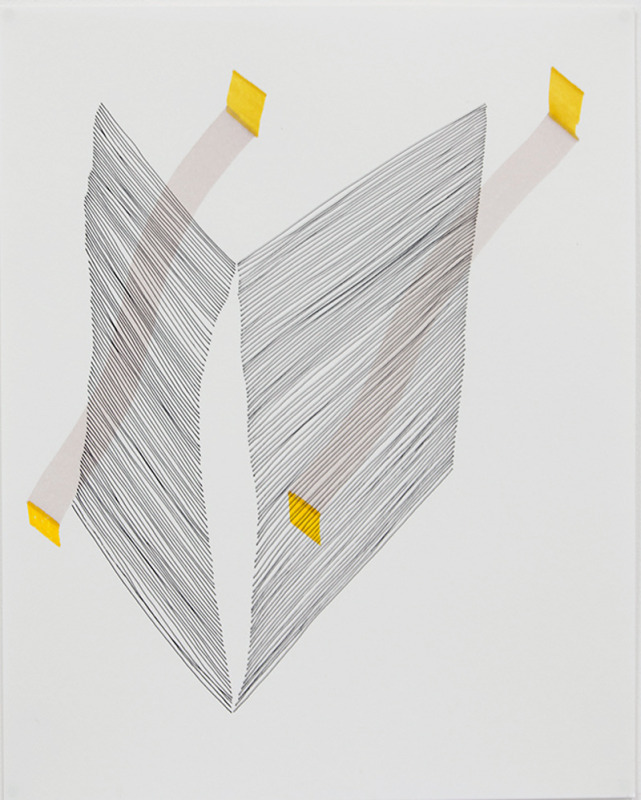 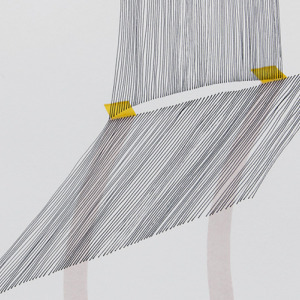 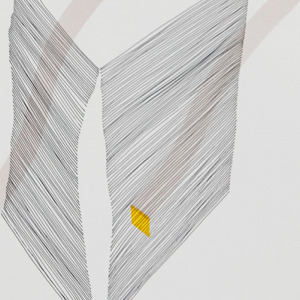 Her drawings are an exercise of pattern-making and reactionary gestural marks in response to the original form. 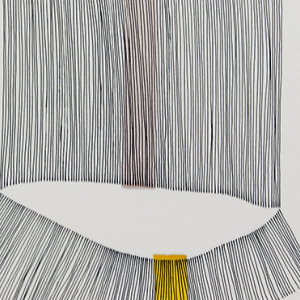 She is fond of imperfection, asymmetry, and the hand of the artist in relation to the often simple, bare, minimal compositions. 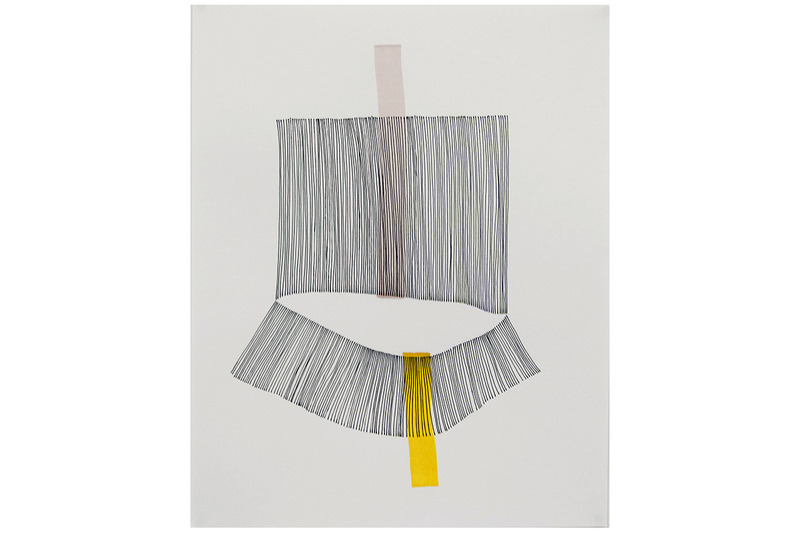 Imogen Banks' art exists within the context of the formal qualities of painting and drawing, choosing logical systems, structural boundaries, and materialistic qualities over emotional expression.